You already have the best Valentines around! More than HALF of pet parents confirmed they spend their Valentines Day with their FurKids. Sighthound Kisses are cuter than Date Kisses! 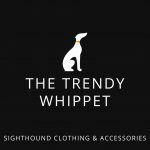 Sighthounds don’t talk… Enough said! Sighthounds will follow you EVERYWHERE around the house, which is cute! It is not cute if your date follows you! Sighthounds do not care if you don’t look presentable. A walk, some snacks and then cuddles on the sofa in your PJ’s is enough for them! You do not have to worry about cooking a slap up meal, they will eat any scraps you throw on the floor for them! Give them a big Hug on Valentines Day and tell them they are the ONLY ONE FOR YOU. Because that’s how they feel about you too! !